Wooly Lipfern. yeah. 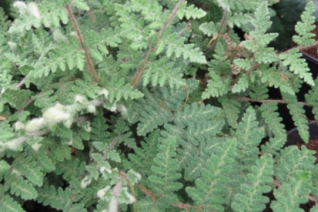 This pretty and felty gray fern is widespread over North America. 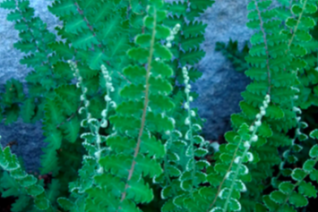 Clump forming gray fern that rises to about 10″ tall. Very elegant plant most often seen in very well drained somewhat dry sites. Full sun to part shade- protection from the most blasting heat. Light, consistent water in summer. Excellent in containers, troughs where it really does its best. Moderately deer resistant. Cliff and rock dwelling elegant evergreen silver fern. Forms a tight clump and the silver gray fronds are slender and rise to about 8″ tall. It is capable of going summer or dry dormant when established. At its best in well drained rock gardens with some protection from blasting sun. In the wild the cliffs they occupy often shade them for half the day. Its a great container fern where it thrives and always looks nice. Best with consistent light moisture. Deer resistant.